Baby Showers | The Party Planner | Kids VT - small people, big ideas! 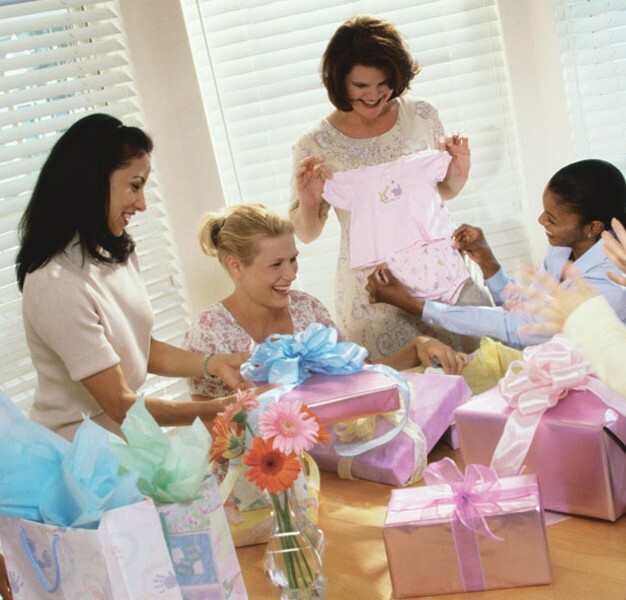 I've had my share of baby showers and loved them all. For the first of my three pregnancies, I was treated to four — yes, four: the family shower, the girlie shower, the work shower and the coed shower. With our second baby, I enjoyed a Sunday brunch with a small group of friends and a family party at Great Grandma's. Finally, when I was expecting last winter, I spent an indulgent day at a spa with two close friends. Celebrating a pregnancy is fun, whether you are expecting yourself or planning a shower for someone else. If the parents-to-be aren't sufficiently forthcoming about how they want to be feted, here are some pretty good guesses. For a new mom, find out what she wants. If she says, "Oh, you don't have to do that," ignore her, but organize a simple event with close friends. The traditional shower involves food, beverages, something sweet to eat, a few silly baby games and presents. It lasts no more than two hours and is usually held at a friend or family member's home. Every new mom should have at least one of these. Don't forget the dad: Coed showers are all the rage. Send some fancy invitations, and serve yummy hors d'oeuvres and mocktails for mingling couples. Instead of gifts, collect money for a gift card from the couple's registry. If your mom-to-be has done this once or twice, or won't stand for a full-blown party in the baby's honor, here are some ways to pamper the parent. Organize a premade meal service for the last two weeks of pregnancy. Friends and relatives make dishes to freeze, so the new family has yummy, homemade food after the little one arrives. Check out mealtrain.com, a website that makes organizing a group meal effort a whole lot easier. Take her to a spa — something I highly recommend. Hire a cleaning service. Spend some time in the company of an expectant mother, and you might notice that a cleaning and nesting neurosis sets in around two weeks before birth. A home detox before the little tyke arrives is practical, and very much appreciated. Got an idea for the Party Planner? Send it to ideas@kidsvt.com.